We got lost. On the way to the Catalyst Leadership Conference (www.catalystconference.com if you would like to go next year which I highly recommend) we missed an exit, got turned around, went through a toll booth, had to turn around, go back through the toll booth and finally found our way. The next morning on the way to the arena, we missed a turn, had to turn around find the street and find our way again. It dawned on me how much like life that trip was. I often say my favorite turn is the U-turn, but theologically and functionally. Every day we have the chance to turn around. To make course adjustments. To redirect our life and begin again. That is the story of the Gospel. 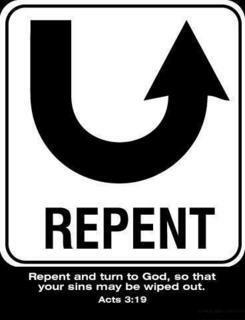 God giving me (and you) a chance to get a divine “do over.” The chance to make a life U-turn. I think God for the chance to begin again. You know the best part of being lost, is to be lost in community. I was lost with friends and our combined ability is why we are not still driving aimlessly around Duluth. What one could see the other had missed. Traffic was horrible, it was raining, people were rude but between the seven of us we were able to negotiate the obstacles, laugh at the situation and find our way. I think that is like life as well, you should always travel in community. We are not meant to travel alone. We are meant to travel together so that we can watch out for eachother and let, in loving accountability, eachother know when we need to turn around. The key word there is love, because otherwise it is just me yelling at you or vice versa for not living life the way I percieve you should. The love allows us to realize that the other person in the community is actually more important that we are. Our desire then is to help them find their path and an amazing thing happens, our path also becomes clearer.